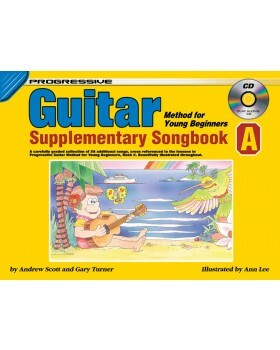 A carefully graded collection of 28 additional songs, cross referenced to the lessons in Progressive Guitar Method for Young Beginners Book 2. Beautifully illustrated throughout in full color. 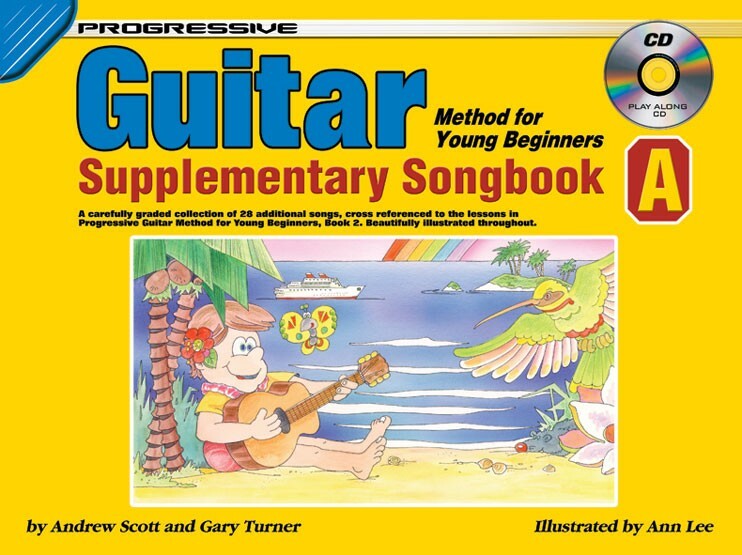 Songs include: Twinkle Twinkle Little Star, On Top of Old Smokey, Skip To My Lou, The William Tell Overture, Michael Row The Boat Ashore, London's Burning, and many more.